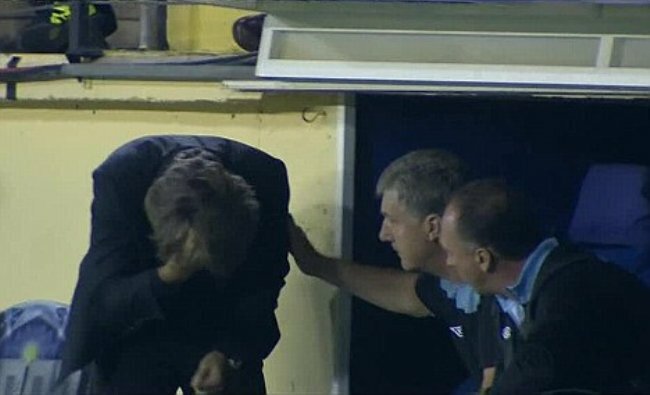 He won’t be doing that again in a hurry, though he probably said that last time as well. 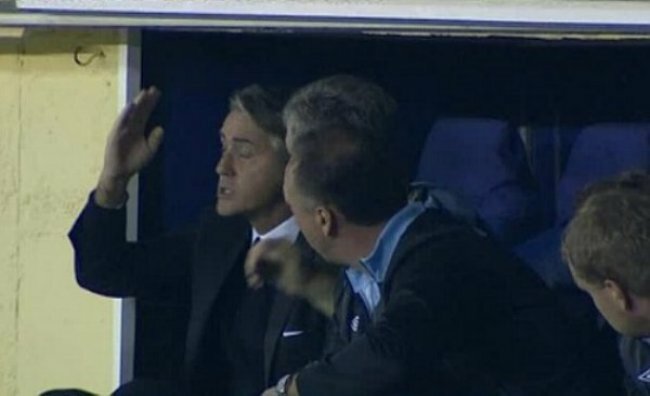 Mancini looks downright evil in the last pic. His eyes are obviously busy contemplating some dastardly act. 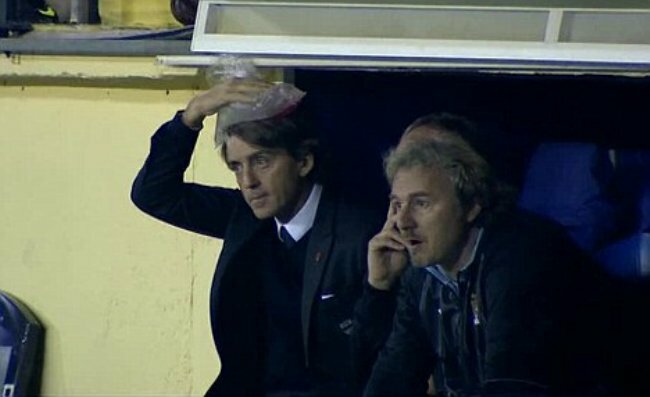 i blame tevez for mancini head crash! tevez is really a scum manu utd undercover!